The Pool House, an outdoor oasis located right in the Gaslamp Quarter of San Diego, is unlike any rooftop bar that you’ll find elsewhere. 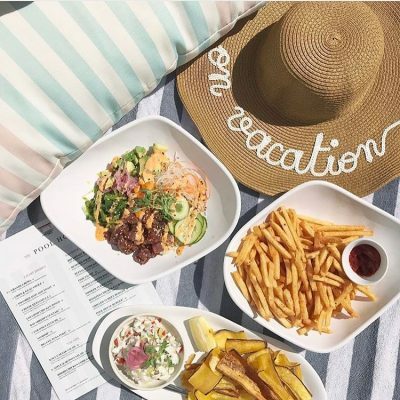 With great events and entertainment, an amazing menu, and a signature bar, The Pool House lets you truly experience the Southern California lifestyle. Why is The Pool House the best rooftop wine bar? Here are just a few reasons. Sure, other rooftop wine bars may have great views, but you can be certain that none have views quite like ours. We’re positioned to give you the best – and most dramatic – city views of San Diego, and when the sun goes down, the views change again into a breathtaking look at the city at night. Soak up some sun poolside with your friends, since it’s the perfect way to spend a weekend afternoon. Our VIP poolside cabanas offer a luxurious poolside experience, giving you the perfect vantage point to take in all of the action. Of course, a cabana also gives you a comfortable way to kick back, relax, and get out of the sun. These cabanas are available by reservation only, so plan ahead and we’ll be sure to reserve a great spot for you. Our menu offers a wonderful blend of lighter fare as well as more filling dishes, all created with a summertime theme in mind. Light dishes such as our Granola Bowl, Cheese Quesadilla, or Smashed Avocado Toast are perfect for a light brunch. We also have heartier options such as our Smoked Turkey Club Sandwich, Fish Tacos, and our Pool House Burger. 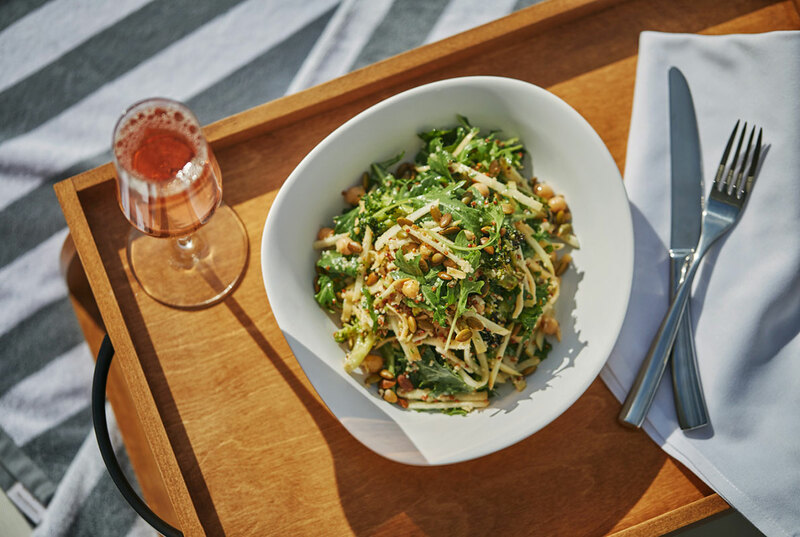 Our Apple & Quinoa Salad and our Maine Lobster Cobb Salad are also highly popular dishes. And yes, we have both gluten free and vegetarian options, so you’ll have plenty of dining choices that accommodate any dietary restrictions, too. 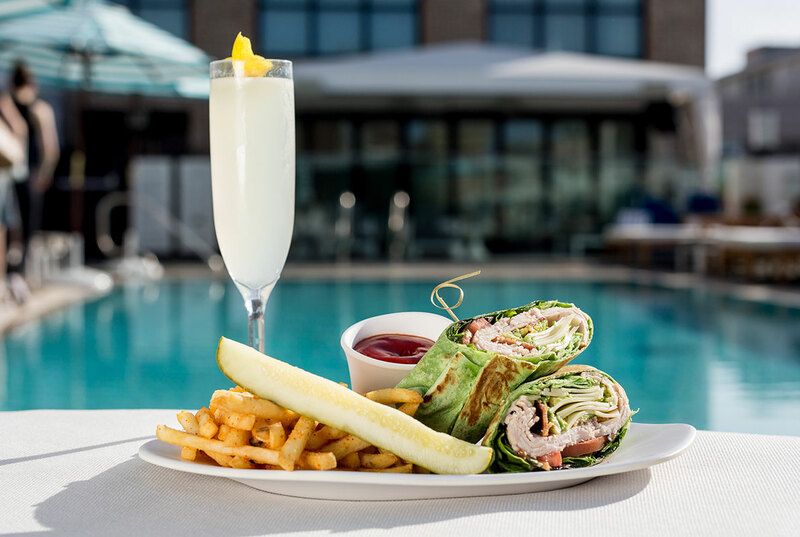 No perfect summer day is complete without a refreshing drink, and at The Pool House, our large drink menu means you’ll have plenty of choices. Try a light refresher, such as our Le Peche or Fresca Frizz. Maybe a margarita or mojito is more to your taste? We also have plenty of frozen drinks to help cool you down from the summer sun, such as our Cherry On Top which blends together Belvedere Wild Berry Vodka, Stoli Vanil Vodka, and Cherry Puree. Looking for beer, wine, or champagne? We have that, too, as well as a selection of sangrias and non-alcoholic drinks, too. Not a fan of standing in line at the bar? We don’t blame you, and that’s why we offer Bottle Service on Sundays so you can make the most of your time here. 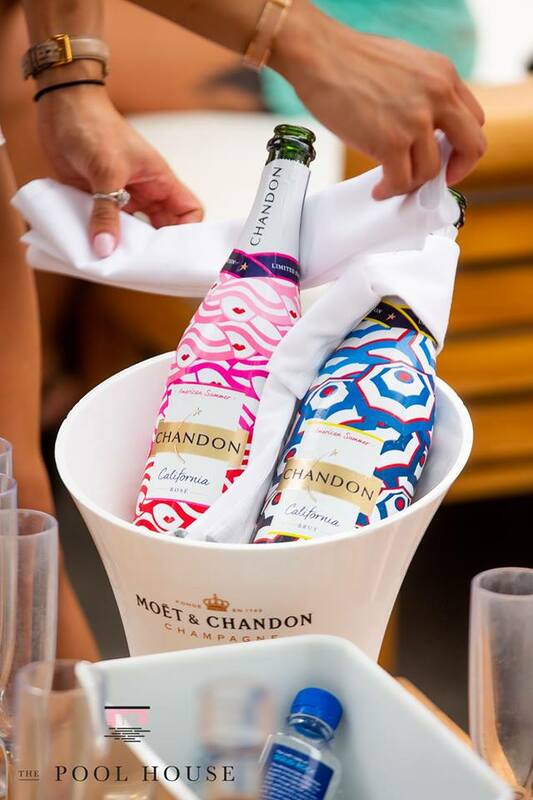 When you reserve Bottle Service, you’ll be whisked right into the venue and to your party’s own private area. There’s absolutely no waiting in line, since your bottles and complimentary mixers will be delivered right to you. Then, you can make your own drinks to your taste and spend your time enjoying the pool atmosphere. Afternoons at The Pool House are relaxing and laid-back, but as night falls, we host a number of evening events that offer top-notch entertainment. 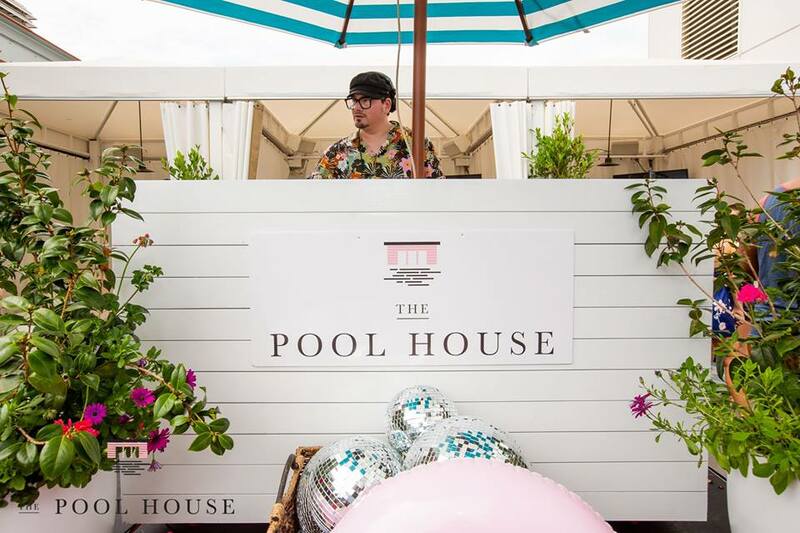 Pool House Sundays feature amazing DJs, and Yolanda Be Cool even rocked the rooftop in July. At The Pool House, you’ll never be bored, and you may never have another chance to enjoy such great entertainment in a beautiful rooftop setting. Best of all, The Pool House is easy to get to. Located at the Pendry San Diego, right above the famous 5th Avenue, we’re in a prime location. 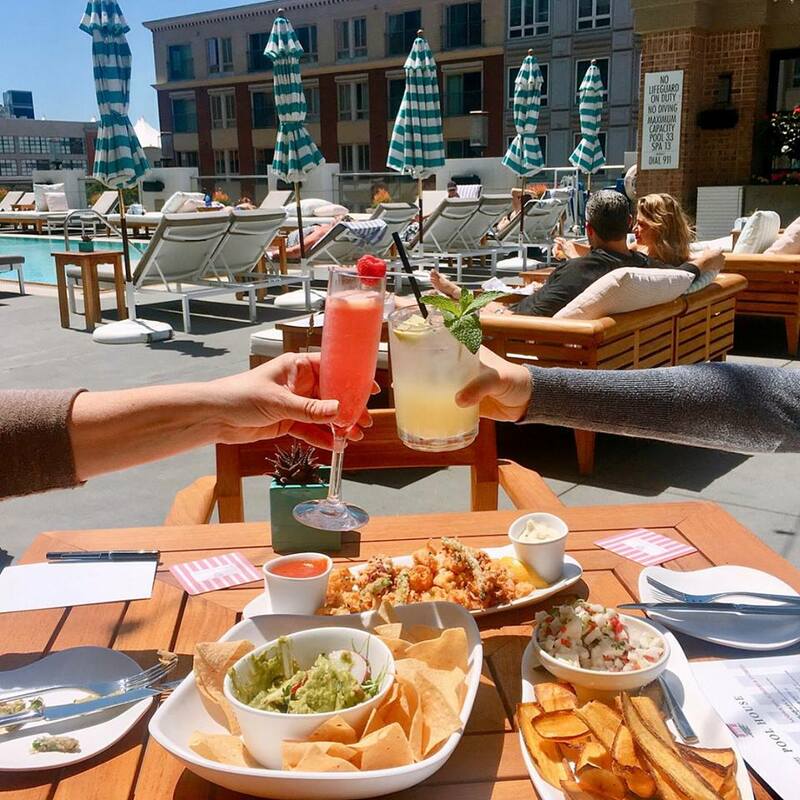 There are countless things for you to do, whether you want to take in a race at the track and then head to The Pool House for lunch, or have lunch first and then take in some of San Diego’s nightlife. No matter what your plans, there’s no excuse for not making a stop at The Pool House part of them. The Pool House is a one-of-a-kind rooftop bar, offering a luxurious Southern California lifestyle experience. From striking views to a carefully curated menu that’s full of fresh summertime flavor, this is the perfect place to enjoy some time with your friends, pass a weekday afternoon, or catch some great entertainment on the weekend. It’s no wonder that it’s such a popular spot, so don’t forget to reserve your cabana or sign up for Bottle Service before you come visit!